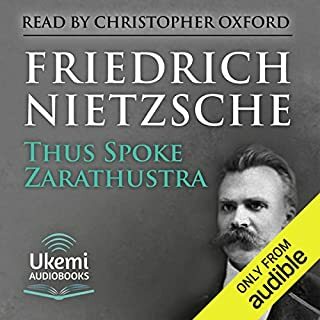 Written in the mid 1880's by Friedrich Nietzsche, Thus Spoke Zarathustra is a critically-acclaimed work centered around the "death of God" and the rise of a superhuman. 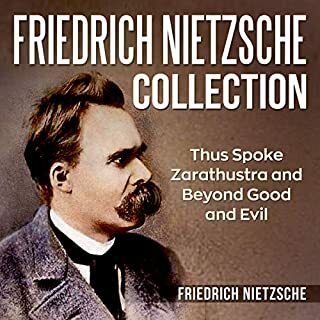 A philosophical and moral examination of good versus evil, divine versus mortal, and power versus submission are all encapsulated in the musings of Zarathustra. Zarathustra's doctrine is the idea of eternal recurrence, which claims that all events repeat themselves. Immanuel Kant's Fundamental Principles of the Metaphysics of Morals, first published in 1785, lays out Kant's essential philosophy and defines the concepts and arguments that would shape his later work. Central to Kant's doctrine is the categorical imperative, which he defines as a mandate that human actions should always conform to a universal, unchanging standard of rational morality. This is one of the most accessible of Nietzsche's works. It was published in 1887, a year after Beyond Good and Evil, and he intended it to be a continuation of the investigation into the theme of morality. 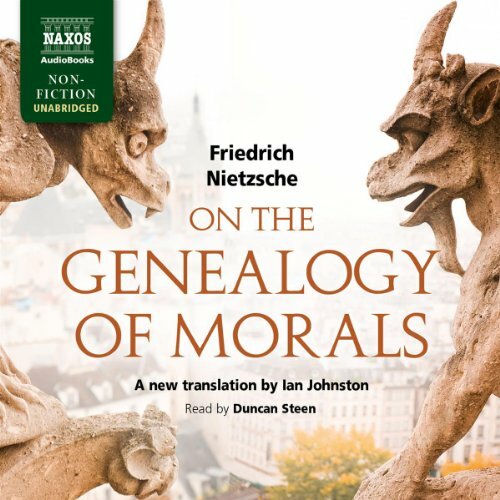 In the first work, Nietzsche attacked the notion of morality as nothing more than institutionalized weakness, and he criticized past philosophers for their unquestioning acceptance of moral precepts. In On the Genealogy of Morals, subtitled "A Polemic", Nietzsche furthers his pursuit of a clarity that is less tainted by imposed prejudices. He looks at the way attitudes towards 'morality' evolved and the way congenital ideas of morality were heavily colored by the Judaic and Christian traditions. I would recommend this work to my more free-thinking friends and to those who want to challenge themselves intellectually. Nietzsche's words are bolts of lightning which wake us from our sleep. My favorite character was "the ascetic man" because I had never seen through his disguise so clearly until I listened to this work. I also realized how much I have been seduced by his perspective throughout my life. Since this was a non-fiction work, I will put forth my favorite section rather than scene...I was most interested in the section on the nature of punishment. This section demonstrated how punishment originally arose as a way for the powerful to demonstrate this power.It also deals with the transformation of this phenomenon after the "slave revolt in morals." The "sick" man becomes "master" of himself and punishes himself by submitting to religion and filtering both his resentments and hopes through this narcotic denial of life. Nietzsche provides much food for thought, but I was very much moved by his description of master/slave moralities and the creditor/debtor carryover into morality. 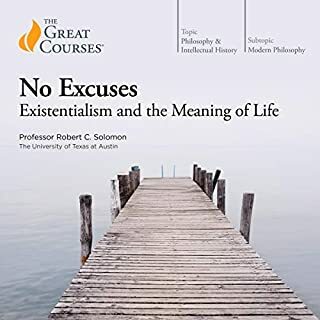 Though I would tweak his critiques based on modern evolutionary psychology, he provides much provocative insight and gets behind the scenes of our moral realities. Interesting perspectives. Nietzsche was quite the master of rhetoric. This is a collection of 3 essays, the second in a trilogy. He commences with an essay contrasting 'good' and 'evil' relative to 'good'. In the second, his focus is on how The concept of 'guilt' weaseled its way into usage by way of herd morality through the conduit of religion. Finally, he differentiates 'ascetic' across three actors. It's a great book and the reader makes it easy to follow, emphasising appropriate words and phrases. While the ideas presented are profound and interesting, Nietzsche as a listen is difficult to understand. This work to better suited as a read where it can be studied to glean the deeper message being delivered. 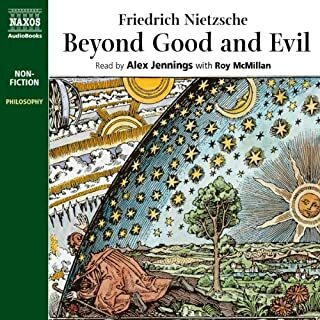 That all said, the narration was superb and this served as a good gateway into Nietzsche's philosophy in a more accessible form. 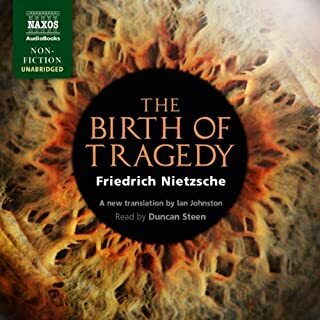 There are many narrations of Nietzsche, some of which are terrible. This guy definitely is much, much better. On as many levels as possible, this towering philosopher for the ages, tormented soul and liberated intellectual, has set the bar bar for courage and value, leaving most United States Marines in the dust. He established the spiritual, intellectual and physical norm for "weakness leaving the body." If you look at his intensity as a war for the individual against false authority (master) and against false submissiveness (slave) you can then understand how his battle is to establish true value in life, as opposed to false submissiveness or brute authoritarianism. Enjoy. I have purchased a number of Nietzsche's texts, including this one, all of which sounded extremely histrionic in the beginning. I kept wondering, why is this necessary? What in Nietzsche calls for this? Why not calm and calmly considered tone? I cant't bear this. ENOUGH! ENOUGH! But then they started to grow on me and now I'm enjoying listening to them. This title, I listened to while reading Walter Kaufmann's translation. There are many places where translation in this audio version adds to Kafumann's in terms of clarity and subtlety. This alone was quite rewarding. There are a few places where the narrator obviously makes mistakes, like when Nietzsche contrasts physiologist with psychologist but the narrator reads both as physiologist. Or when, he pronounces the German name "Eugen" (in Eugen Dühring) as "Eugene" (as in Eugene O'Neill). I giggled a little here. Eugene as a name sounds so sincere and eager while Eugen sounds dull and square. A literary genius with magnificent language and forcefully developed thoughts. Nietzsche is an unpredictable and unique philosopher. 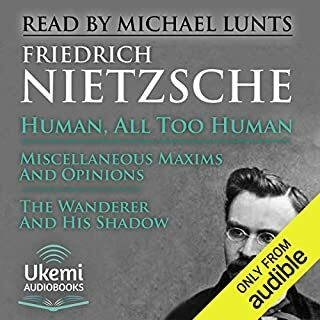 Event though Nietzche offers a look into a more controversial thinking, his thoughts are antiquated and his argument often onesided.